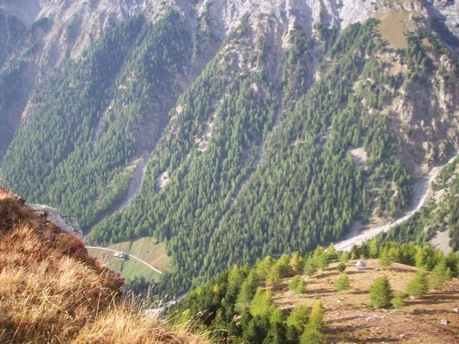 Planning and making a real-time remote video-monitoring station at the nest of a Bearded vulture in the Parco Nazionale dello Stelvio in Italy. 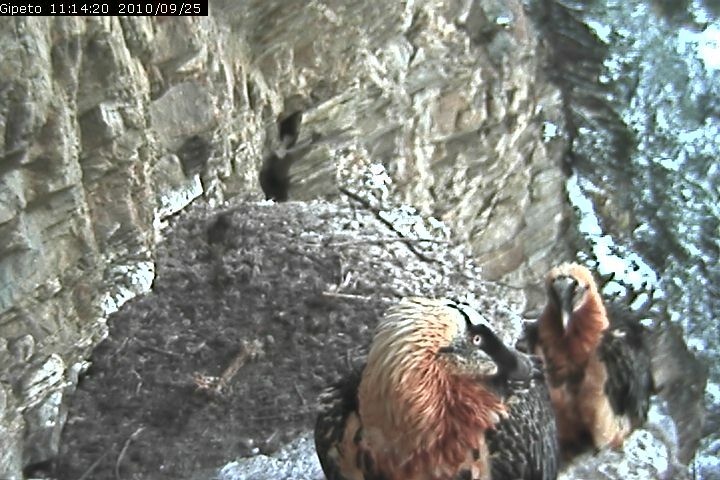 It was winter 2008 when we were asked to give an opinion about how to video-monitor the nest of a Bearded Vulture pair in the Stelvio National Park. It was clear from the beginning that it would have been an installation in a harsh and hostile environment. The question sounded like this. 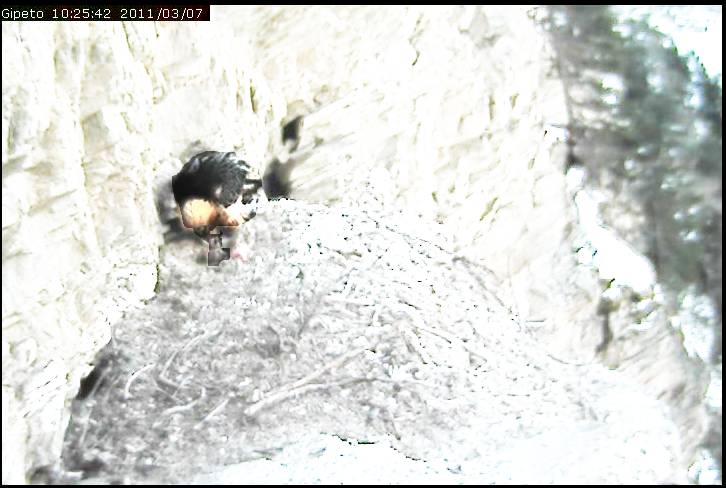 The interest was to collect information of the behavior at the nest, with public outreach. 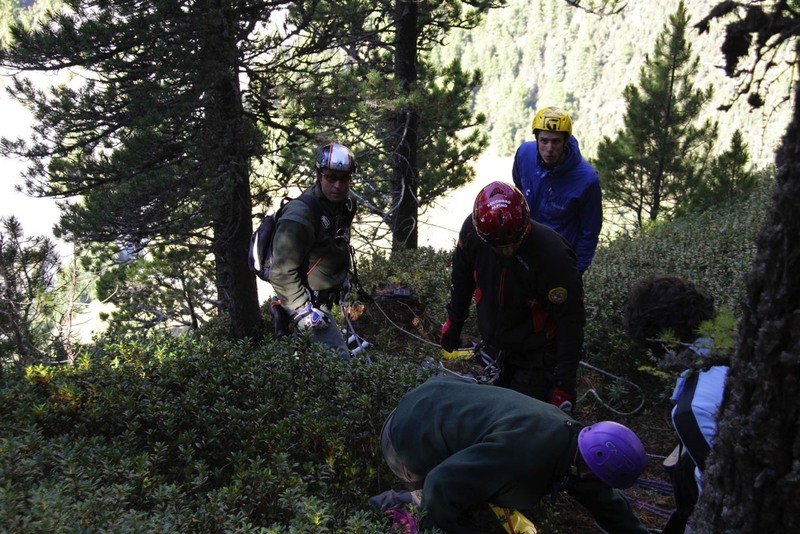 The project was granted by the park itself and by the Fondazione Cariplo, a bank funding agency. The nest was select among three according to the high fidelity of the pair at this site. 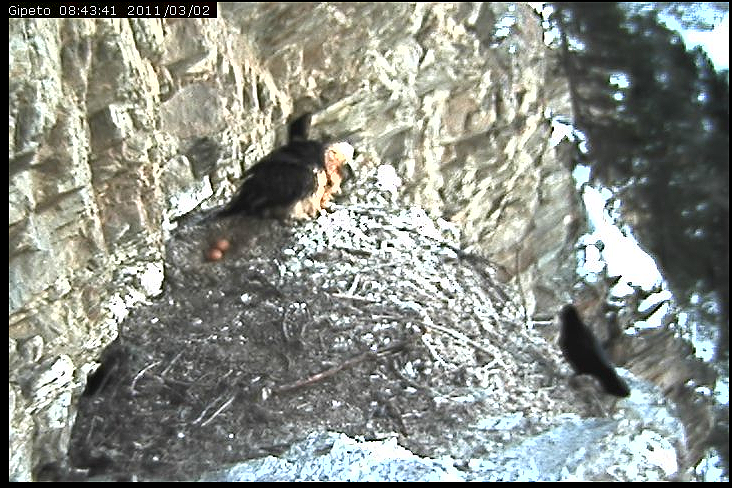 For the previous three years, now four, the nest had always been chosen. 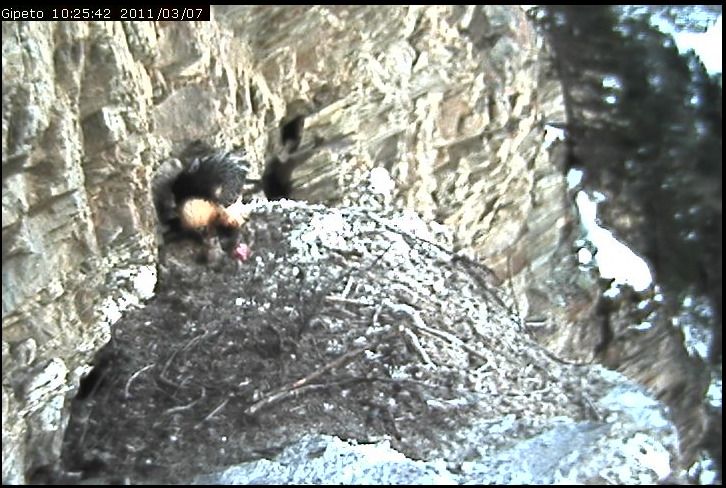 Adding over this, the selected nest was the easiest to be reached among the three. “NORTH FACING”: sigh. Really? 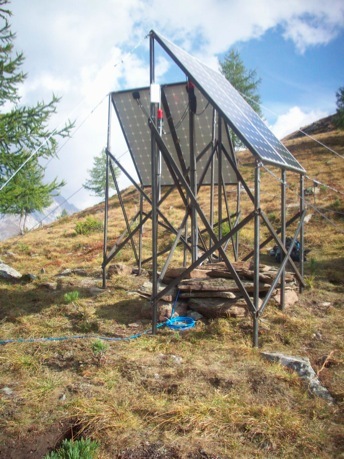 the NORTH view, limiting the photovoltaic possibilities, at the end resulted the strongest limit of the operation. We have been up about 8 times. Two preliminary visits, two transport and installation trips, four visits for checks and enhancements. The job was mainly made in September and October 2009. 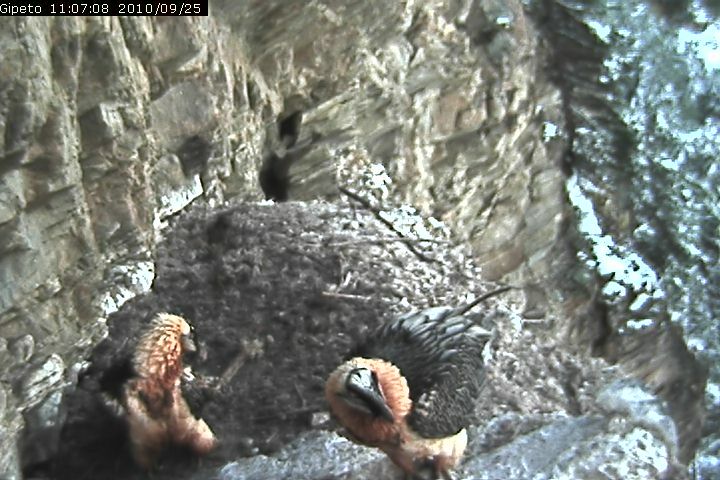 We planned to go at the nest again in September 2010, to change the camera, but the grown newborn was there most of the time, and it was not safe to interfere with it. 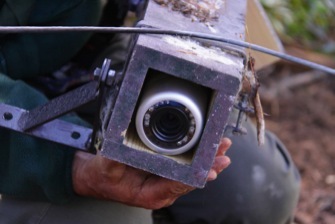 For the installation we used a waterproof digital camera, with digital IP interface and with an additional wooden protection. We used about 250m of oceanographic (sturdy) cable to take the signal out of the trees, up to a flat area were we installed about 800W of photovoltaic panels. The system drains about 15W of power, but the exposition and orientation of the panels is rather inefficient and we really wanted to have some images even in the darkest periods. The site is in shadow for more than two months during the peak of the winter. The little power generated in December and January comes from indirect sunlight reflected by the snow coverage of the facing mountains. We also installed a GSM remote control. It allows us to start, restart and stop the power supply to all the instruments whenever we want to. 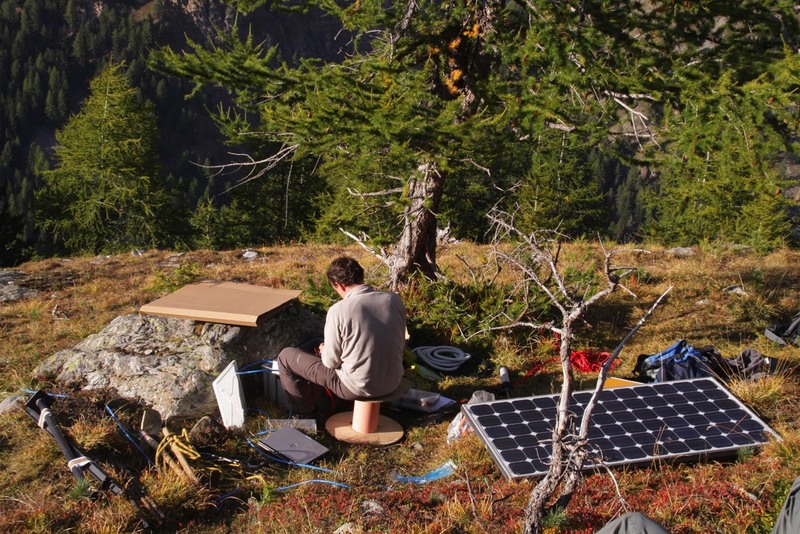 The video stream is digitally transmitted to the opposite mountain, where a stand-alone station (with two antennas, one solar panel and little electronics) acts as a bouncing point and re-launches the signal down to the final receiving antenna. A total of about 12 kilometers are linked. 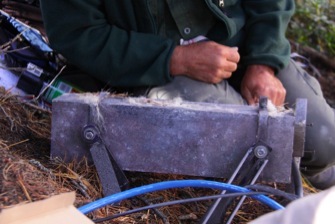 The receiving antenna is internet connected and delivers the live stream and the stil pictures to the world. 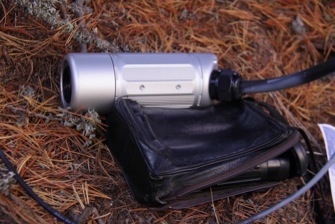 We also record the video stream using a digital video recorder, so we have all the pictures that were taken by the system anytime. We do have the video! 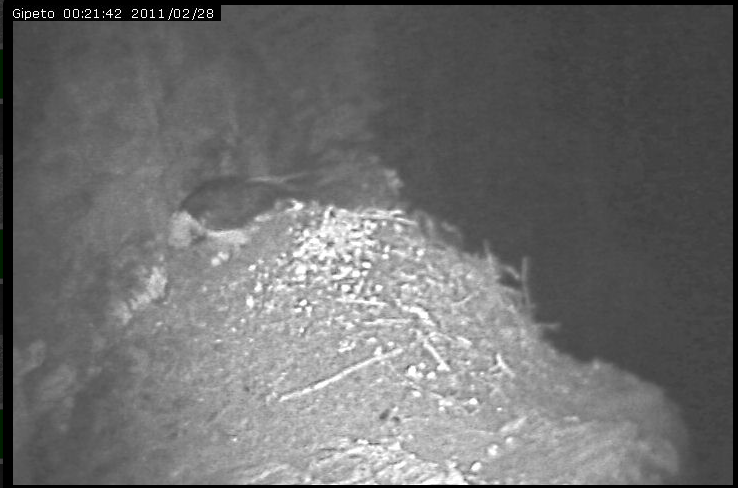 Maybe the picture quality is not good for a documentary, but is good enough for us the need to see what is goi g on at the nest. 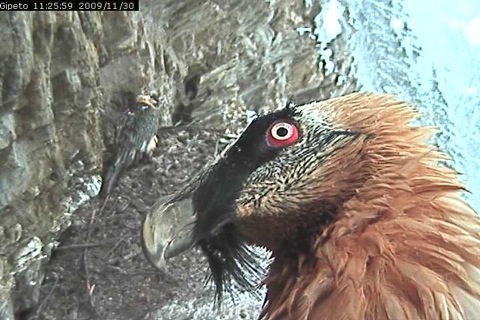 Images are a bit slow, but in 2010 we have changed the link and now are really stable and rather fluid. We can setup alarms if anything passes over a certain area. 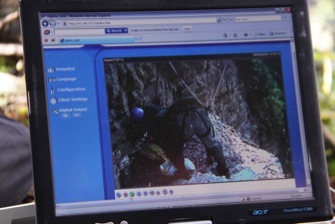 We have the video footage of whenever the camera was on. 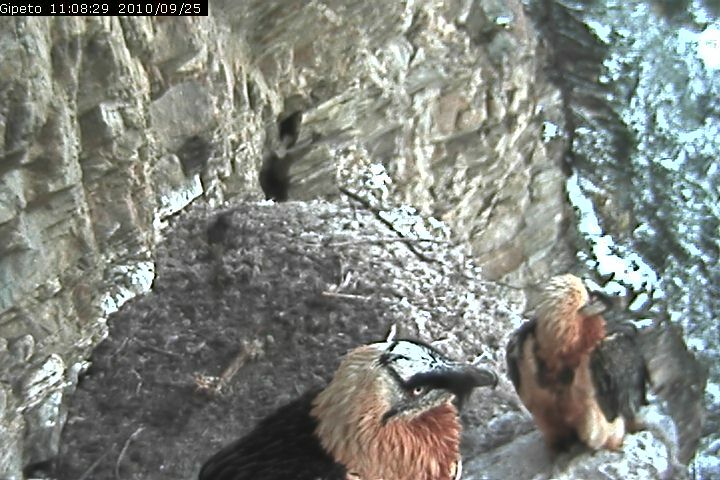 We have an internet connection, to see the nest online (and the vulture can read his email from home...).